Make a long lasting impression with our new CHRISTIAN FAYE LONG LASTING GEL EYELINER PENCILS. 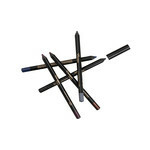 This Gel-based Eyeliner Pencil delivers pigment-rich color, precise lining, all-day intense color and is waterproof. 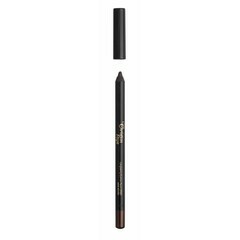 A super creamy, pigmented gel eye liner pencil that provides effortless smooth application and lasting pigmented coverage. This gel formula applies easy to a smooth finish. The silky-soft, creamy texture is light-weight, comfortable, and glides onto lids without tugging or pulling. This gentle, creamy, GEL EYELINER Pencil features intense pigments that can be used as an eyeliner in eye contour or kohl color in the inner eye area. For a dramatic look, swipe it over the entire eyelid for a smoky eye effect. Easily blendable, its stay-put formula is perfect for gorgeous, all day eye looks. Use it to create flawless, precise lines, or smudge immediately after lining for an instant smokey eye. For those who prefer a bit more control over their eyeliner, a pencil product is your best bet.